Saturday, Their Majesties The King and Queen visited Molde and Aukra, where His Majesty The King officially opened the Ormen Lange gas terminal at Nyhamna. The King and Queen attended a luncheon in Molde before going on to Nyhamna in the municipality of Aukra. 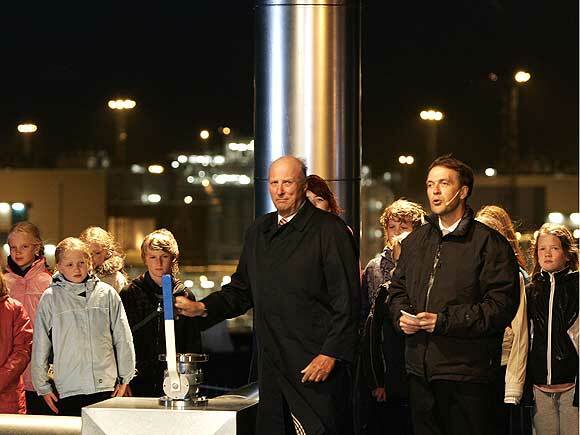 During a direct broadcast between Nyhamna and Aker Stadion in Molde, King Harald officially opened the terminal which will supply Great Britain with enough natural gas to cover 20 % of that countrys total annual needs. His Majesty expressed his appreciation for the development of the facility, and for the success achieved by international industries under Norwegian leadership in this area. 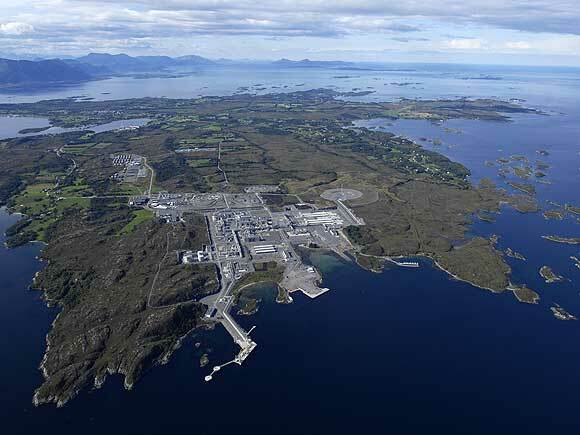 Ormen Lange is the second largest gas field on the Norwegian Continental Shelf and currently ranks as the largest development in the European offshore arena. Ormen Lange gas will be harvested from a reservoir under the seabed via subsea installations at depths of 1,000 metres. This gas will be transported to land and processed at the Nyhamna refinery, after which it will be exported to Easington in Great Britain via the Langeled pipeline, which is the worlds longest subsea export pipeline. The terminal extends across an area equivalent to 100 football fields, and has cost NOK 50 billion to build.